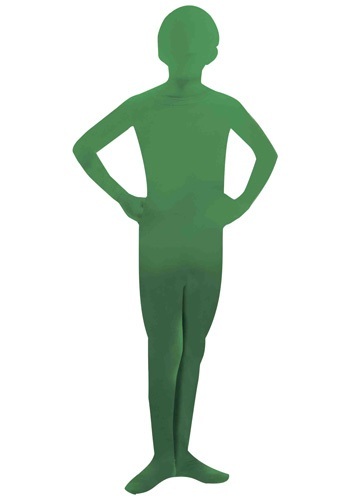 Go green this Halloween in this Adult Green Man Costume! Become a Martian or create your own funny character by adding accessories. If you and your friends like to play word games, this Adult Hangman Second Skin Suit will start a fun party conversation. You can look just like the "victim" of a Victorian-era word game. You'd better hope that your friends are good at guessing letters! Are you feeling extra ferocious lately? Then why not show off your wild side with all these spots! This Adult Leopard Second Skin Suit is a great way to get the party started! Whether you add accessories to create your own theme or just wear it alone, this Adult Second Skin Gold Costume is a great way to completely conceal your identity! Concealed fly & under chin slit allow functional ease. He's tall. He's dark. We don't know if he's handsome, because nobody has ever seen his face. But we know he's scary--some pretty hair-raising tales have been told. You can become him in this Adult Skinny Man Suit. Here's your chance to blend in with the pretty blue clear sky! This Adult Sky Second Skin Suit keeps you covered by fluffy white clouds. You could pair this unique skin suit with a sun or rainbow costume as a cool and very unique couples' costume idea. Show off your stripes in this Adult Zebra Second Skin Suit. This skin suit might be helpful if you need to blend in with a pack of zebras if you ever get stranded on a safari! This costume will keep you 100% covered and you can stash all your essentials in the attached handy bumbag! If you want to be completely incognito while you carry out some rather suspicious business, this Black 2nd Skin Mask is perfect! You might totally disappear when you wear this full-hood mask outside in the dark, however, that chance is highly unlikely! This black second skin suit fits over your entire body, even the hands and feet. The zentai suit is like a blank canvas that you can accessorize with wigs, belts, boots and other extras to create your own unique look. You'll be singing, "I'm blue da ba dee da ba die" once you put on this Blue 2nd Skin Mask. This is a must have mask when purchasing a 2nd skin suit and is great for wearing to a basketball or baseball game! The only thing as blue as the sky will be you! 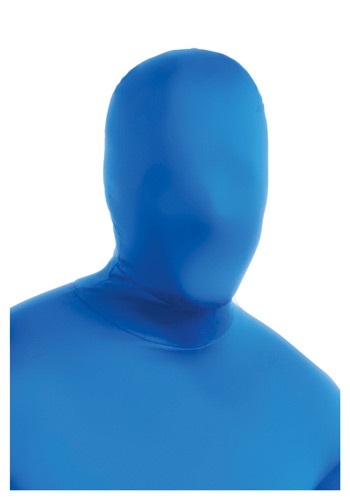 Disappear into mother nature with this hilarious Blue Second Skin Suit! Don't be concerned if people just pass you by...and no, it's not because you're making them uncomfortable. Your child just can't perform the type of ninja moves that he's been dying to try out in his regular clothes. They just don't offer the advantage of stealth and mobility that this ninja suit does. When your child is able to perform the ultimate dragon punch, he'll thank you for getting him the proper costume. 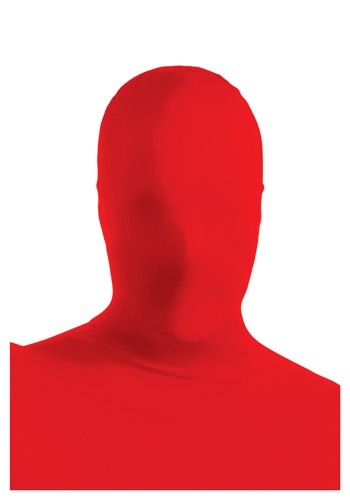 Disappear into the foreground in a Boys Red Invisible Man Costume. It's the quickest way to feel at one with your surroundings! You'll avoid awkward social situations at the drop of the hat with this unique look. Blending into the background just got easier. In Chicago there are two teams that fight for the attention of its citizens, the Cubs and the White Sox. The White Sox have been playing in hugely populated city since 1900 and have been hitting home runs in U.S. Cellular Field since 1991. Now you can join your favorite team and hopefully get a grand slam in this skin suit costume. 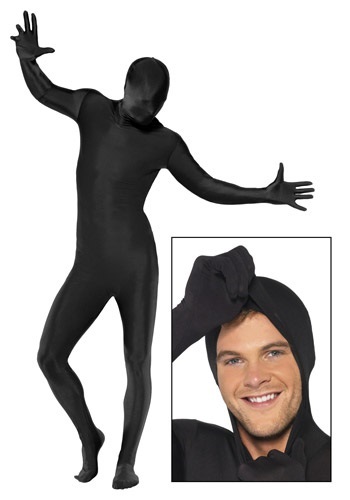 Now you can become an all black phantom with this cool Child Black Skin Suit. This cool suit will cover you from the tip of your head to the top of your toe. This cool skin suit is great for wearing to sporting games or for creative play! Hiding around in the bushes doesn't do you any good when you're dressed in a pair of jeans and a bright red t-shirt. Camouflage is the only real option for stealth operations in the woods. If your child wants to blend into their wooded environment, they'll be able to go completely undetected. We're hoping they're coming back for dinner, because you sure won't be able to find them! 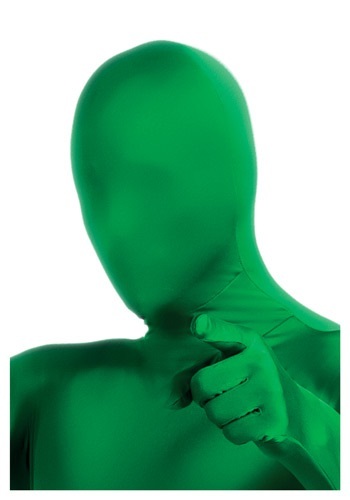 Now you can successfully blend in with the lawn, or some bushes, or a grassy knoll with this cool Child Green Man Skin Suit. This costume is perfect for little boys who like to play outside and blend in with their surroundings. It's also great to wear to sporting events! Now you can go flying from moving vehicles with ease in this Crash Test Dummy Second Skin Suit! It's the most comfortable way to test your survival skills while in a speeding metal death trap. Not much for dressing up for special occasions? Do tight slacks and form-fitting cummerbunds cramp your style? 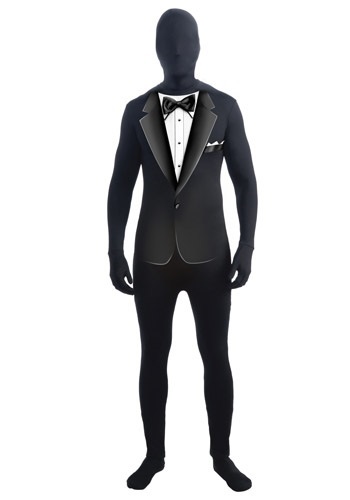 If so, why not try out this Formal Suit Second Skin? It's not your typical formal suit so it'll make you stand out and give you a mysterious appearance. Wear it to your Prom or your brother's wedding! Now you can look dapper with minimal effort with this Formal Tuxedo Skin Suit! This will cover you completely from head to toe and engulf you in sophistication. 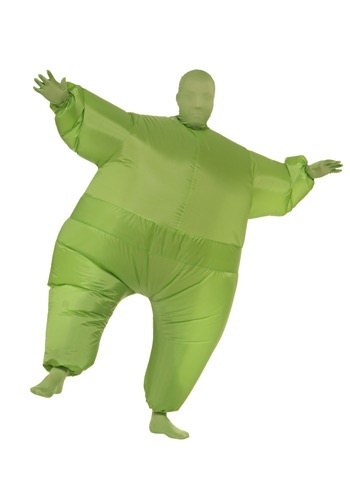 Wear this cool skin suit to a fancy dinner party or a fun sporting event! Look like you just took off of planet Mars! Become a little green man when you wear this Green 2nd Skin Mask. This is a must have mask for any alien costume and is also great to wear to sporting events because you can see out of it! 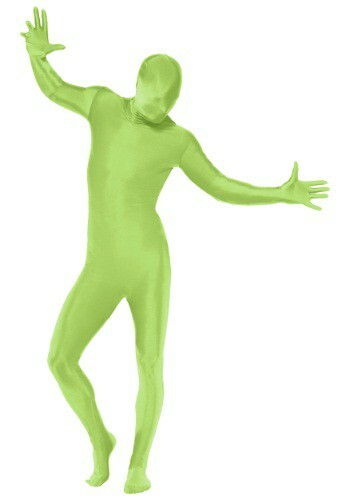 With rooms full of green men, you gotta stand out a little bit (and help your family and friends tell you a part). Plus, what if you meet a woman and she has no way of remembering you? Solve your blending in problems with this Green Afro Wig. Part mascot, part superhero and 100% green. Super powers include: inciting laughter, wacky antics and getting into brawls with other, already established mascots. Can be found wandering the streets of Philadelphia, fully inflated. This Invisible Man Sky Dasher Suit makes a unique superhero costume! It covers the entire body from the neck down including attached gloves and enclosed feet. CAUTION: the mask obstructs vision. Do not attempt to drive while wearing it! Perfect for fans of Batman comics who don't want to be a run-of-the-mill Robin! It's time to win this race, ya mon! It will be a cinch in this Jamaican Bobsled Team Costume, which pays homage to the scrappy, determined quartet from the 1988 Winter Olympics at Calgary, whose inspirational story was told in the 1993 movie Cool Runnings. Check out all of our silly and unique skinsuits! Show off martial arts prowess and face off against deadly opponents! It's made of the same type of fabric as zentai suits, but it doesn't cover the head, hands or feet like a true zentai suit would. Add toy ninja weapons and you'll be ready to take on dozens of bad guys in a battle royale! It's not just a skin suit, it's a skin-and-bones suit! It's great for Halloween or for anatomy class. NOTE: the mask does obstruct vision, so shouldn't be worn while walking or riding a bicycle. When you walk into a haunted house there is one thing you'll be sure to see, a ghost. These spooky specters spend their days going through the halls making their presence known to all that enter. Their ghoulish moans send shivers down the spines of even the bravest of souls. Now your little one can become the scariest of all haunters in this costume. 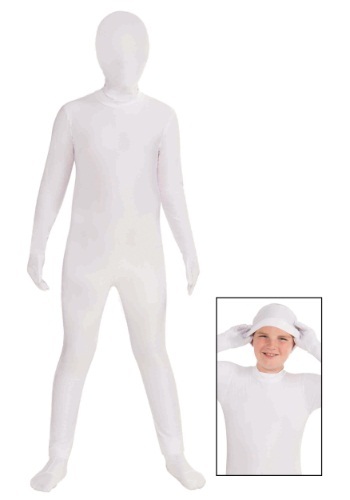 When your child wants to disappear in a blizzard, look no further than this white skin suit for kids. Other uses for this costume include, standing out in the dark, pretending to be a ninja and pretending to be a human-shaped cloud. When you're walking though an old, abandoned mansion and you hear something behind you go bump in the night you will wonder if you're alone. You're not alone because ghosts have been know to follow those who enter into their dilapidated homes. So when you turn around quicky to see what made that noise don't be surprised to a floating phantom looking you right in the eyes. 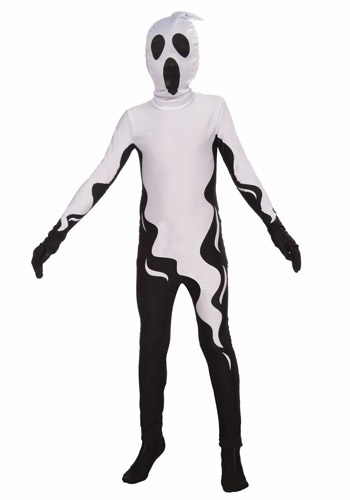 Now you can make people afraid of ghosts in this spooky skin suit costume. Did you know that mimes originated in Ancient Greece? Even back then, the act of miming was to act out a story without the use of speech. If you think you can handle the art of silence, then you just might be ready for this Mime Second Skin Costume. (It's also the perfect way to be mysterious and aloof to that girl you've been crushing on). Learning the deadly arts is quite a task. It takes years of training and endless hours of your life perfecting one single move until it's perfect. It's a lot of blood, sweat and tears. Actually, no tears. Ninjas are stoic. Avoid all that, buy the Ninja Skin Suit and just pretend to be a ninja. It's much easier. Disappear into the foreground or background with this Orange Second Skin Suit! It's the most hilarious way to fool your neighbors and friends! Wear the Purple Second Skin Suit as a unique Halloween costume or to your next sporting event. It's an affordable look that's easy to accessorize! If you are purchasing a Red 2nd Skin suit, then you need this Red 2nd Skin Mask. 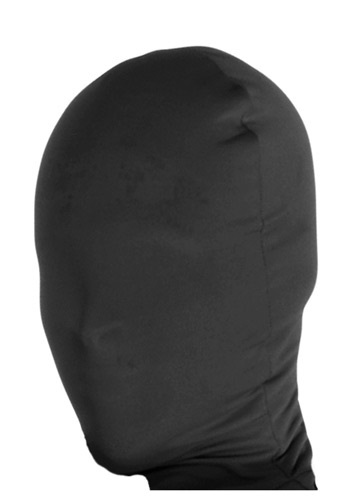 This unusual full coverage mask allows you to see out and breathe but no one will know that it's you! This is perfect for wearing to sporting events! This Red Invisible Man Costume may actually have the exact opposite effect... people will be noticing you all Halloween long! It encloses the entire body, including hands and feet. CAUTION: The mask may limit your vision. 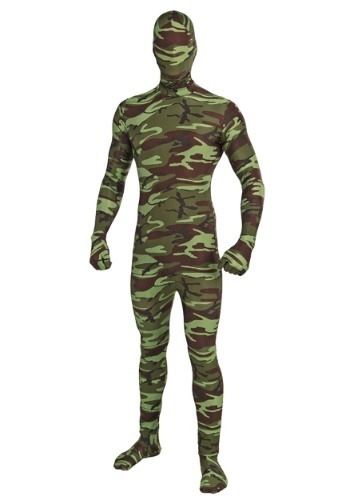 Get more of our invisible man suits for an original and hilarious Halloween group. Get this Silver Invisible Man Suit, available in adult sizes for men or women. Note: The hood will limit vision, so do not attempt to drive while wearing it! Join the rest of the Fantastic Four clan, so you have someone to be your eyes. You are looking a little boney lately! 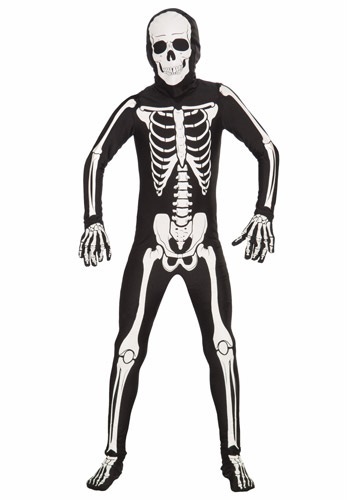 This Skeleton Zentai Suit is stretchy and it puts a unique twist on an otherwise pretty classic costume. You'll look like a walking X-ray when you wear this. This is a complete costume that covers you from head to toe. Check out all of our cool zentai suits! How to prove your the proudest American? You could sing the national anthem in front of a large group of people. You could also bake apple pies while listing off all that you know about baseball. But the greatest way to prove you're the greatest American is to wear a costume that is entirely the American flag. You'll be all set for one wonderful 4th of July. This is what happens when you've been exposed to too much radiation! You'll look like a science experiment gone wrong in an X Ray Costume. We're pretty sure it's not normal to see the insides of your body. If this weren't skin suit, we'd suggest seeing a doctor. Do you like yellow? Like, a lot? So much, that you want to dress in yellow from head to toe and run through the streets yelling, "Yellow is my favorite color! I love yellow!" Most people would tell you that you're some kind of weirdo, but we get it. Once per week, you can find someone running around our office wearing this yellow skin suit. We call that day, "Thursday." It has a nice ring to it.